Just discovered 2 new strings of orchid bud. Can relate to the joy of farmer now. So happy! All these joys in life…emaho! Yesterday is the last holidays for those working in China. I went to the tea wholesale market with a few friends, didn’t buy any tea but a small cup with hand-painted lotus, perfect to serve appetizer. Then proceeded to a friend’s place to drink more tea and play Qin. She got these 2 branches of plum blossoms with super strong fragrance. Always amazing to have such a quiet corner in the very heart of downtown Shanghai. Then I walked to the flower market nearby. 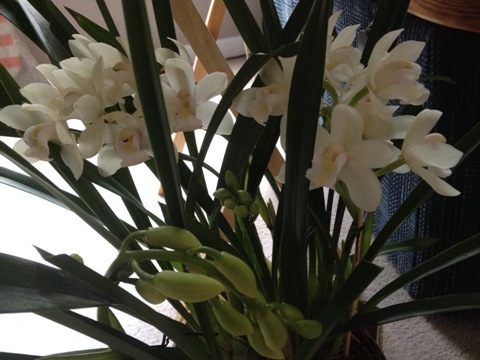 Traditionally for the Chinese New Year, my family would always have some narcissus at home. 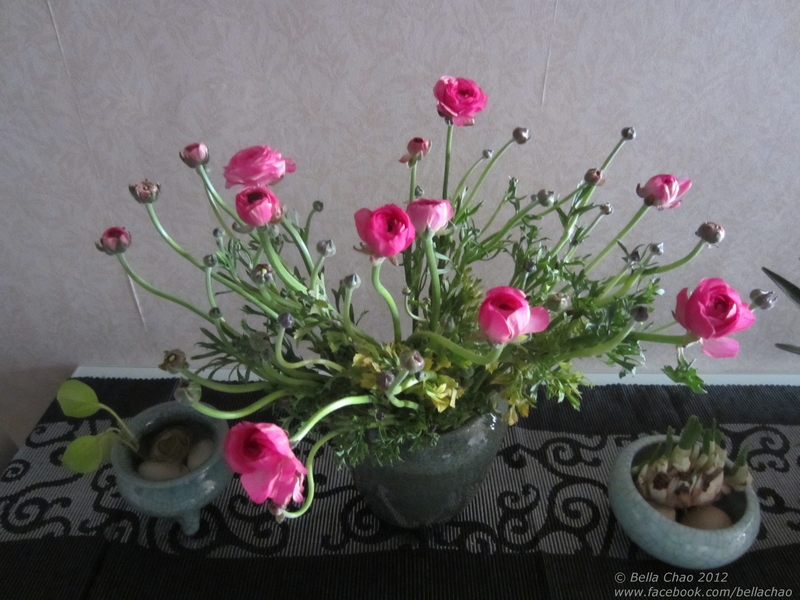 On top of narcissus bulbs, I also got a bouquet of wild peonies which always remind me of the red poppies in Europe. 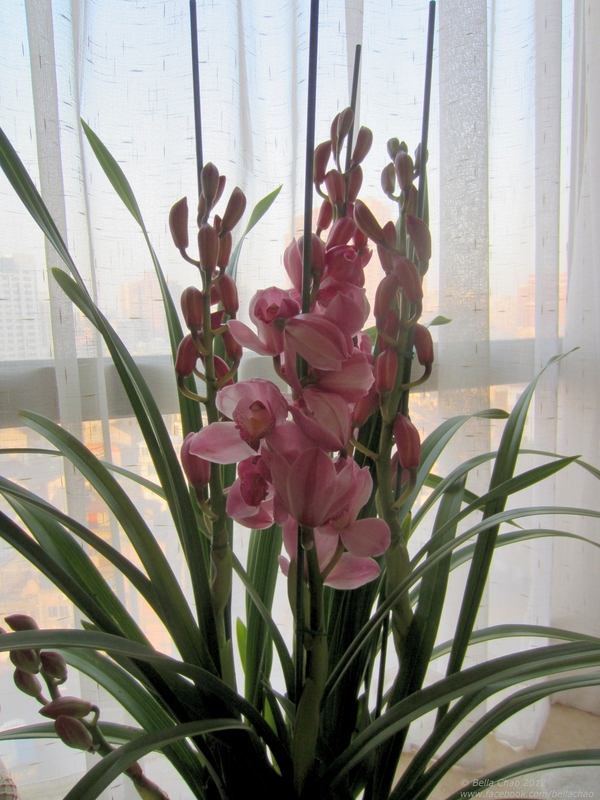 After the Shaoxing trip, my love for orchid re-emerged, so I finally bought these huge orchid flowers I have been eyeing on for years. Let me pray that they would live long with me!